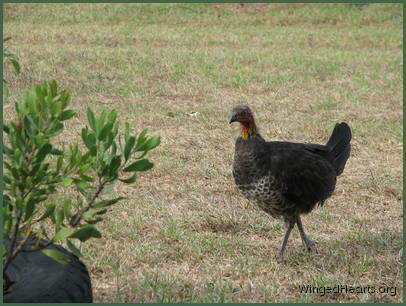 Buffy the Brush Turkey appeared out of the bush one fine day eager to make friends and have a taste of what the other birds were eating (....much to their dismay). 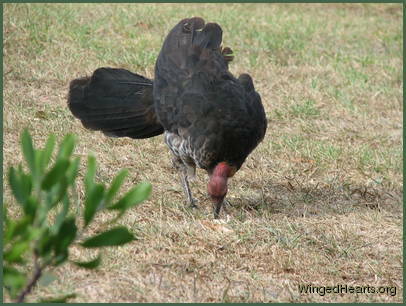 Being a much bigger bird, he could gobble up huge amounts of food in no time, leaving them with crumbs. 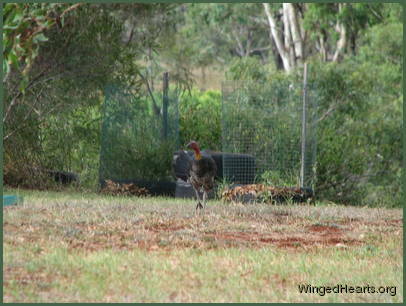 A few days later we caught a brief glimpse of his female friend. 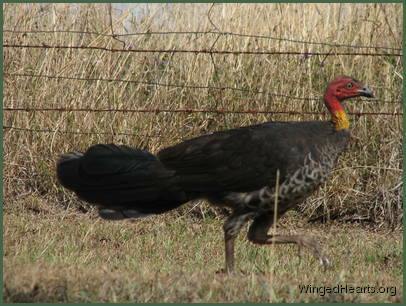 We were surprised at how tame, unafraid, self-assured and intelligent Buffy was, you would think he had spent his life amongst people, but we had never seen these birds before in the region. 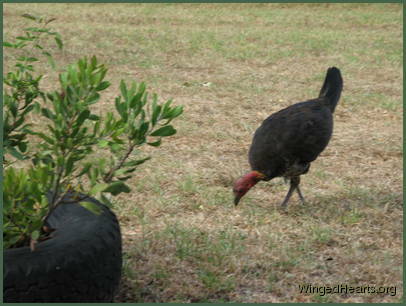 Buffy loved digging into the pots and pulling the plants out (...much to my dismay). Not being a great gardener at the best of times, I started to call him Buffy The Pot Plant Slayer. Our friend and neighbour really liked Buffy and enticed him to her verandah for snacks (...much to all my birds' relief). Buffy is now quite contented to potter in the vegetable garden down hill and my potplants too are much safer now (...much to my relief). 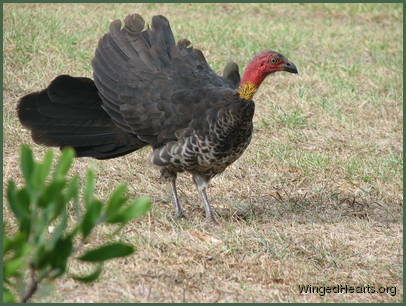 Previous Slide 1/5 NextBrush TurkeysHere comes Buffy The Brush Turkey happy to peck around flamboyant and radiant very friendly and confident.